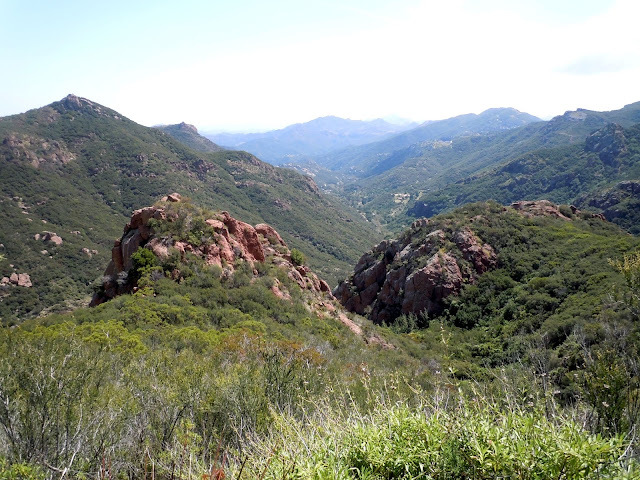 More than 70 years ago, poet Madeleine Ruthven captured the spirit of the western Santa Monica Mountains in her poetry. Thanks to conservation efforts, that landscape has remained largely unchanged and still inspires with its rugged beauty. In 1934, Hollywood screenwriter and poet Madeleine Ruthven wrote a slender pamphlet of poems titled Sondelius Came to the Mountains. In it she captured the austerely beautiful back country of the western Santa Monica Mountains and painted a vivid portrait of some of the area’s early 20th century pioneers. Today, the book provides a tantalizing glimpse into an otherwise mostly forgotten past. A portrait of Madeleine Ruthven by legendary photographer Edward Weston. 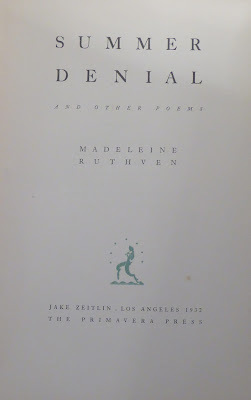 I first encountered Madeleine Ruthven in author Lawrence Clark Powell’s essay on living in Malibu called Ocean in View. Powell stated that her poems describing the beauty and wildness of the western Santa Monica Mountains were one of the inspirations that brought him to Malibu. It would be years before I tracked down her poetry. While I was researching a feature article on Ruthven and her poetry for Anne Soble’s Malibu Surfside News in 2010, I found that Ruthven was a pioneer woman screenwriter, a celebrated poet, a Los Angeles intellectual in the early days of Hollywood, a progressive activist, and a victim of the relentless communist witch hunt of the McCarthy era. I was fascinated and continued to hunt for details, but they were frustratingly scarce. I found that Madeleine Bunch Ruthven was born in Iowa in 1894. In 1920, the US Census lists Madeleine, 26, living in Houston, Texas with husband Sam D. Ruthven, 35, born in Louisiana, and Ormond B. Ruthven, son, aged 10. Sometime during the 1920s, Ruthven moved to Hollywood. 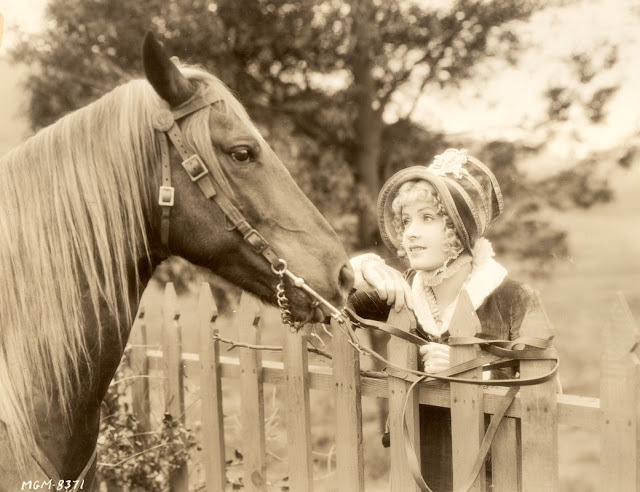 She wrote title cards for silent movies, story treatments and screenplays for 16 film projects. 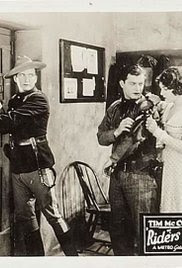 In the late ’20s, she wrote several westerns, including The Frontiersman. 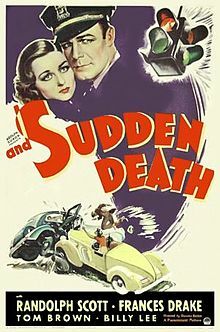 Unfortunately, this film like so many from the silent era, is lost. She also has credits for writing title cards, an essential part of the silent era storytelling process. 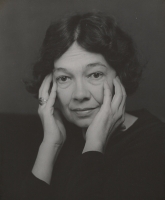 Ruthven published two collections of poetry during the 1930s. Most of the poems first appeared in Rob Wagner's Script, a weekly literary and film magazine that Ruthven contributed to regularly. However, there is little record of her as poet or film writer in the papers of the time. Just a party in 1937 honoring English poet and novelist Ralph Bates, where she rubbed shoulders with celebrated writer William Saroyan and a glowing review of her first collection of poems, Summer Denial, published in 1932, written by journalist and activist Reuben Borough, whom she would later marry. In the 1940 US Census, Ruthven is divorced and sharing a residence in Beverly Hills with artist and studio architectural researcher Herta Uerkvitz. Both women were blacklisted by the House Un-American activities committee in the McCarthy era. Herta was an artist, poet and an architectural studio researcher. Like Madeleine, she was blacklisted. Herta appeared before the House Un-American committee on September 20, 1951. She took the 5th, rather than incriminate herself. According to Robert Vaughn, in his book Only Victims: A Study of Show Business Blacklisting, Ruthven was denounced by "Mrs Meta Reis Rosenberg, former head of the literary department of Berg-Allenberg," who "introduced into the ‘Red’ record Ruthven 'ex-writer and CP Functionary in Hollywood and its environs.'" 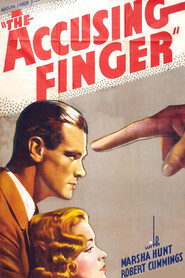 The 1936 film The Accusing Finger, a detective story about a man wrongly accused of murder, is Ruthven's last film credit. The title seems perversely appropriate in light of the ordeal the writer would face during the McCarthy Era. Image: IMDB. Unlike many victims of the Hollywood witchhunt, Ruthven appears to really have been a member of the Communist Party. She was also a member of the Women's Shopping League, a socialist organization that promoted consumer and worker safety and opposed war profiteering. Ruthven may never have worked in Hollywood again as a writer, but being on the black list didn't prevent her from continuing to work as a political and social justice activist. She married journalist and fellow progressive activist Reuben Borough in the 1950s, after the death of Borough's first wife. 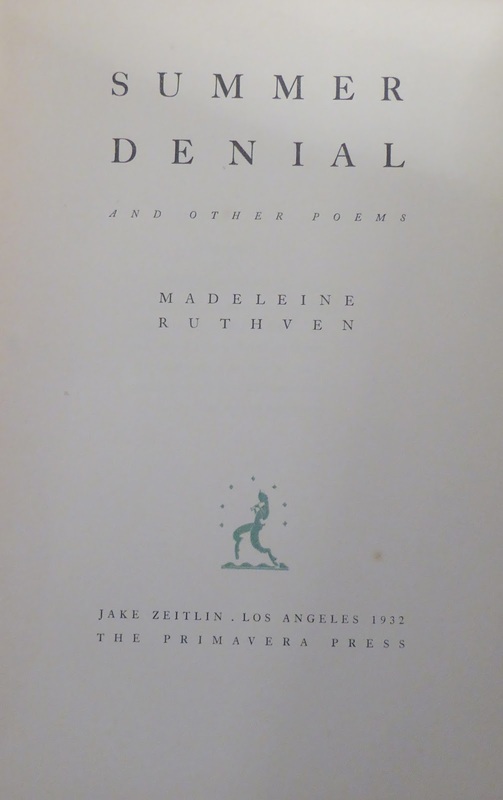 Borough set several of Madeleine's poems to music, according to documents held by UCLA, but no additional collections of poetry appear to have ever been published. 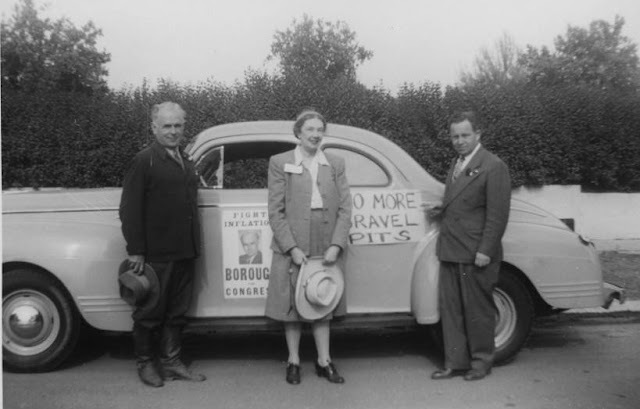 Madeleine Ruthven with Reuben Borough (left) and a mystery man during Borough's unsuccessful 1946 campaign for Congress. The couple married some years after the death of Borough's first wife. Borough died in 1970, Ruthven in 1978. Image: USC Digital Library. There's no record that I could find of when Ruthven visited Malibu. She must have come often in the early years when the newly constructed Roosevelt Highway first opened the area to visitors and adventurers. The finding aid for the Borough's collection lists letters from her that contain pressed flowers. 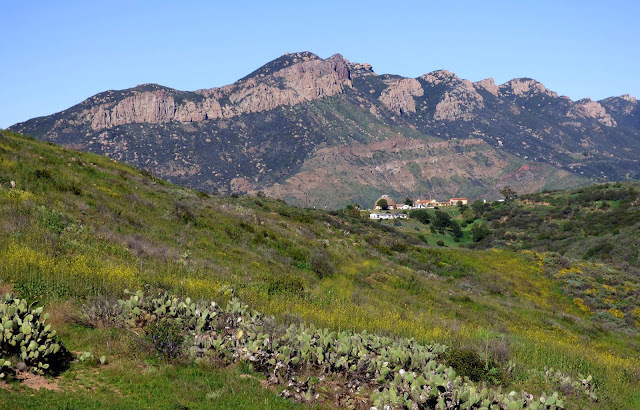 There may be wealth of information on the Santa Monica Mountains within those boxes. She certainly knew the area well and loved it. When she first explored the mountains, they were a true wilderness, roadless and remote. 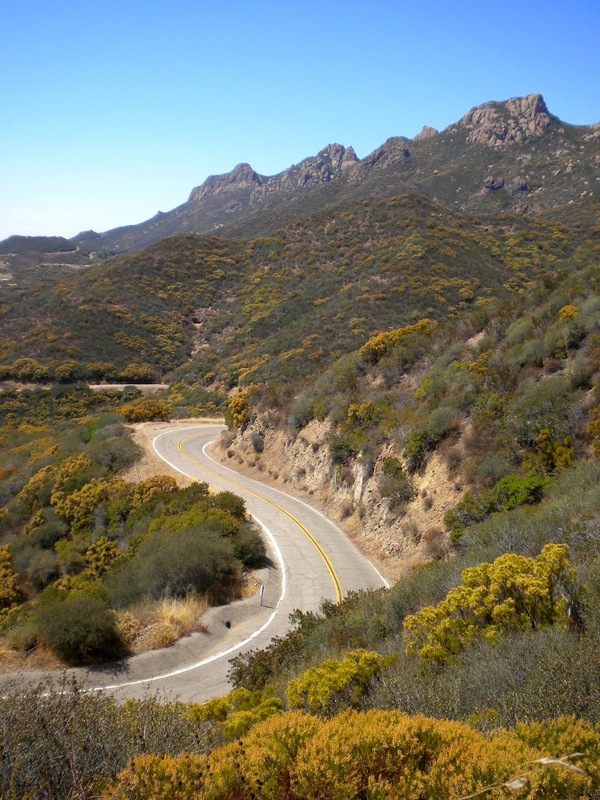 Malibu and the western portion of the Santa Monica Mountains were accessible to the public for the first time only in 1929, when Roosevelt Highway—today’s Pacific Coast Highway—opened. Massive Balance Rock, a local landmark and popular hiking destination, looks just the same today as it did in Ruthven's time. Ruthven celebrates a landscape of unspoiled vistas, abundant wildlife, caves that still contained Chumash pictographs, springs of water that were not only safe to drink but provided the only source of water for miles, and the rugged individuals who were the first since the Chumash to make the mountains their home. Today, the backcountry attracts crowds hikers, bikers and rock climbers, but an early riser can still find the solitude that Ruthven and the settlers she described rejoiced in. And all the world is spread like a map below. Melted glass from a wildfire glitters on a stark outcropping of stone off Yerba Buena Road. The mountains are filled with evidence of old homesteads reclaimed by fire and repopulated by nature. No trace remains now of cabin, but the view still spreads out at one's feet. On a clear day, one can see a panorama of mountains—the San Gabriels, the Topa Topas, and the Channel Islands—the farthest reach the Santa Monica Mountains—with the Pacific stretching away to the horizon. I like to think this might have been where Sondelius lived. There are the remains of a cabin at this site, and just as it did then, "the world spreads out like a map below." Other Boney Ridge characters described by Ruthven include Mary La Touche, an Irish woman who came west from Kansas with her husband to homestead in Big Sycamore Canyon, carrying all of her possessions and a month-old child over the rugged spine of the mountains during the heat of summer on pack mules and horses. La Touche loved the backcountry and kept an inland cabin on Boney Ridge. In summer, when the springs dried up, water had to be carried in by pack mule. A large section of the backcountry described in Ruthven's poetry has been preserved as part of the Santa Monica Mountains National Recreation Area, including Bony Ridge, Balance Rock and Echo Cliffs. 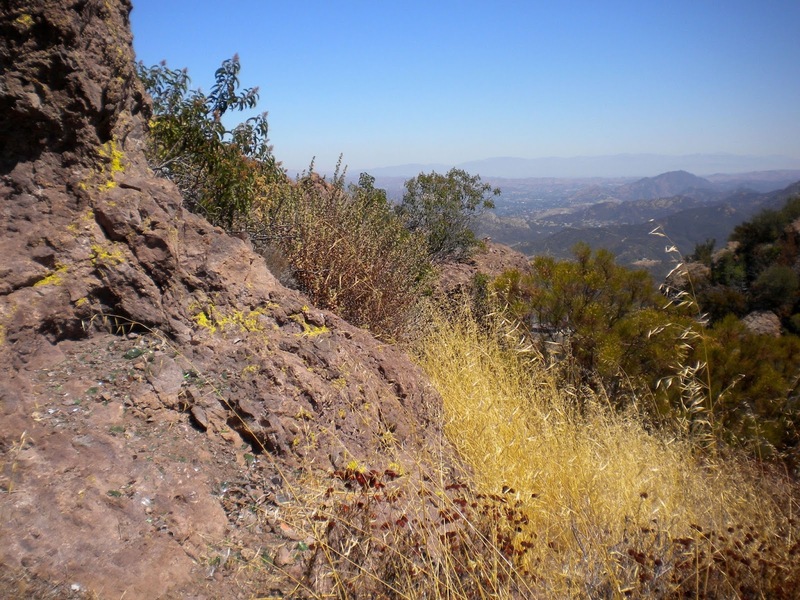 This is a small section of the epic expanse of shear rock shown in the panorama photo. 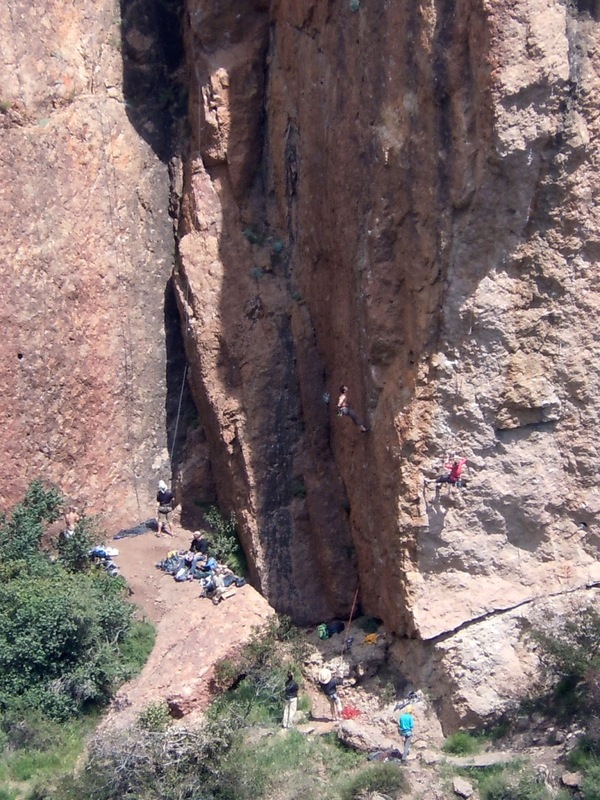 Instead of homesteaders, shepherds and prospectors, hikers and climbers now flock to Echo Cliffs. 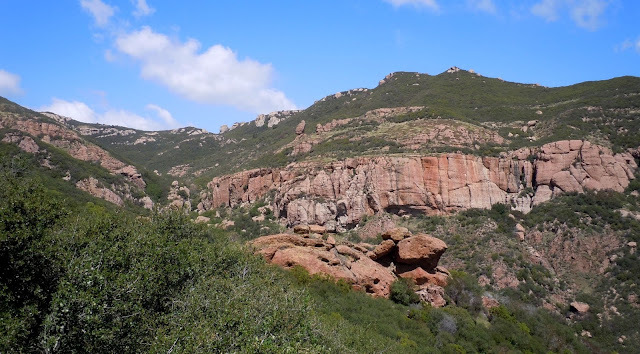 One of the anecdotes presented by Ruthven is an account of La Touche, her five-year-old son Edward and fellow pioneer Walter Haines who became lost in a maze of arroyos while exploring Triunfo Canyon. They spent a cold and uncomfortable winter night on a boulder above the raging floodwaters in the creek without food or blankets. It was almost night on the following day when they finally found their way home. Haines, a refugee from the city, lived in a tin shack in a canyon “Where trees grow, and a spring trickles,/ And a gray cat purrs in the doorway. 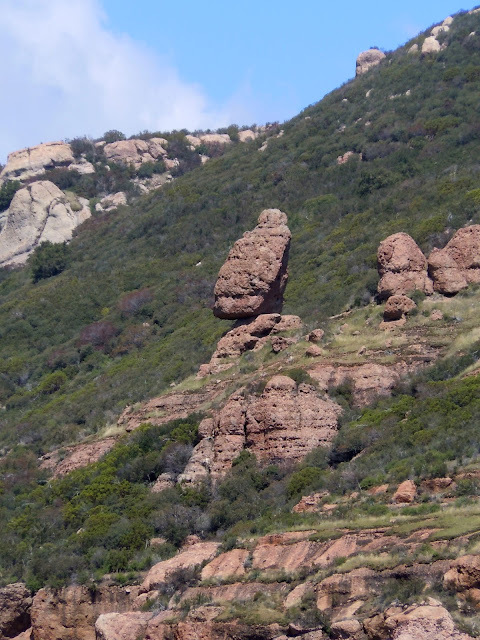 In Ruthven's time, the residents of the area called the massive stone “face” above Trifuno Canyon “Walt’s Old Woman,” in honor of the canyon hermit. 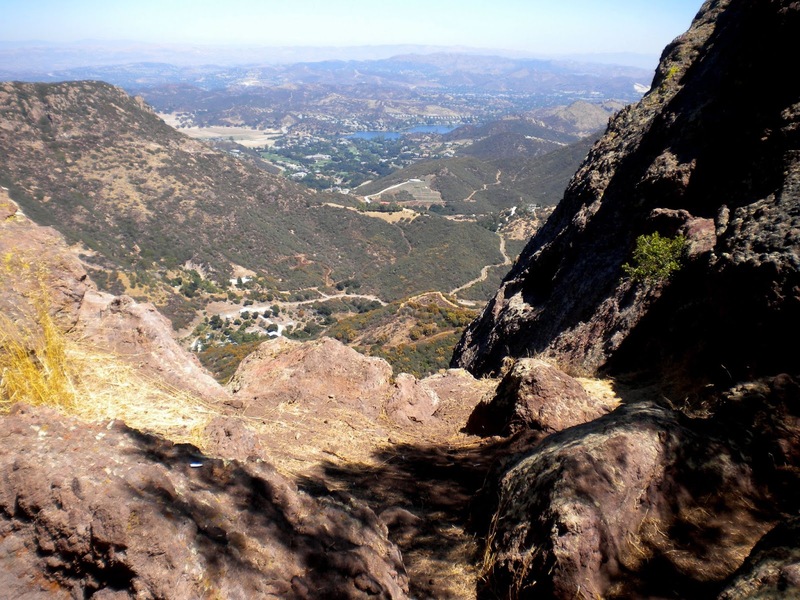 Ruthven knew Edward La Touche at 15, “competent, strong, unhurried,” a “true child of the hills.” The La Touches, mother and son, arranged horses for Ruthven and guided her and other visitors through the mountains. 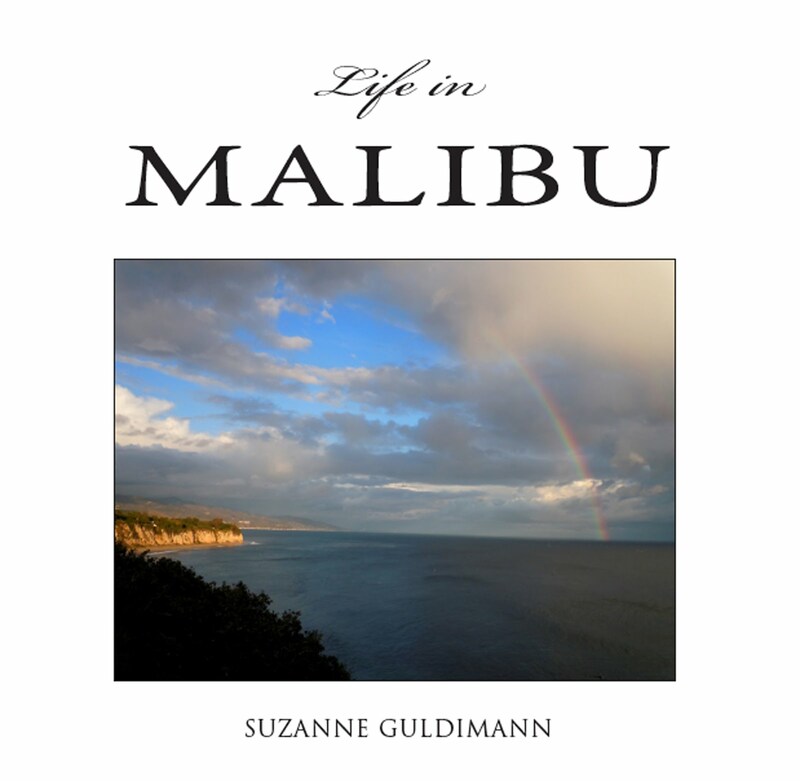 Luxuries like paved roads, water and electricity began to arrive in the Malibu back country in the 1930s. This last bastion of wide open spaces still appeals to individualists who enjoy solitude, dark skies and wildlife for neighbors. Self-sufficiency remains key. 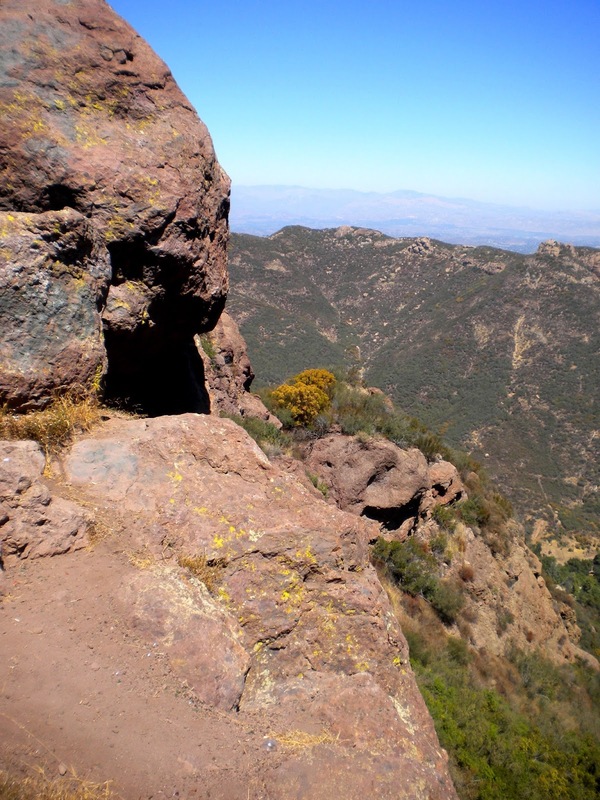 Emergencies like fires and rockslides are frequent and cell phone reception undependable. The roads are narrow and steep, and while mule teams have been replaced with SUVs, there are still no quick routes out of the mountains. Ruthven’s poems appear to provide the only surviving record of the rugged mountain characters like Sondelius, the La Touches, and Walter Haines. The names may have been changed but it's clear that they were real people, members of the tough and self-sufficient homesteader community who carved out a precarious life for themselves, a sort of corner of the wild west, without roads, electricity or running water, in the early years of the 20th century. 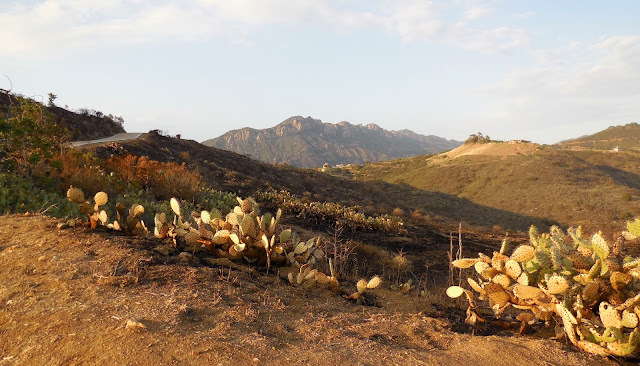 She also provides a description of fire in the mountains, and its after effect on the environment and the people who made the area their home. Under a cloud of fog. Glistening pearl in the moonlight. We turned to the north and east. Thrust seaward into the horizon. Two years ago fire came here. And filled the canyon with flame. And swept the slopes below. The hill people fled before it. Seeking safety in the water courses. Until it came to the sea's edge. Then the folk went back to the blackened smoking hills. To bring life back again. They belong to the hills. The people Ruthven described are gone, but if she were alive today she would find the area around Boney Ridge that she lovingly described in verse still recognizable. Her voice remains alive in the poetry that reveals her deep love for the Santa Monica Mountains. And felt their beauty singing in my blood. 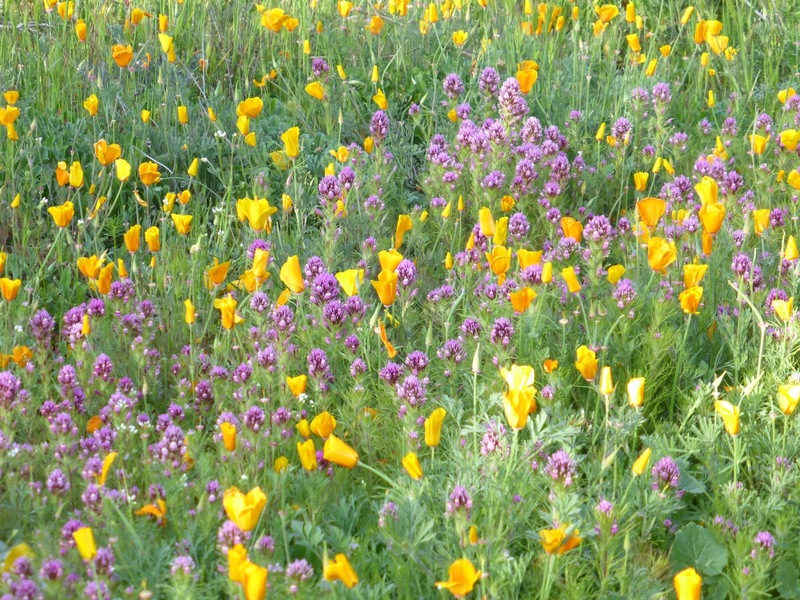 And poppies burning on the bare hillsides. Sondelius Came to the Mountains is out of print and can be hard to find-apparently only 200 copies were printed by the Primavera Press in 1934-but the book occasionally turns up second-hand. 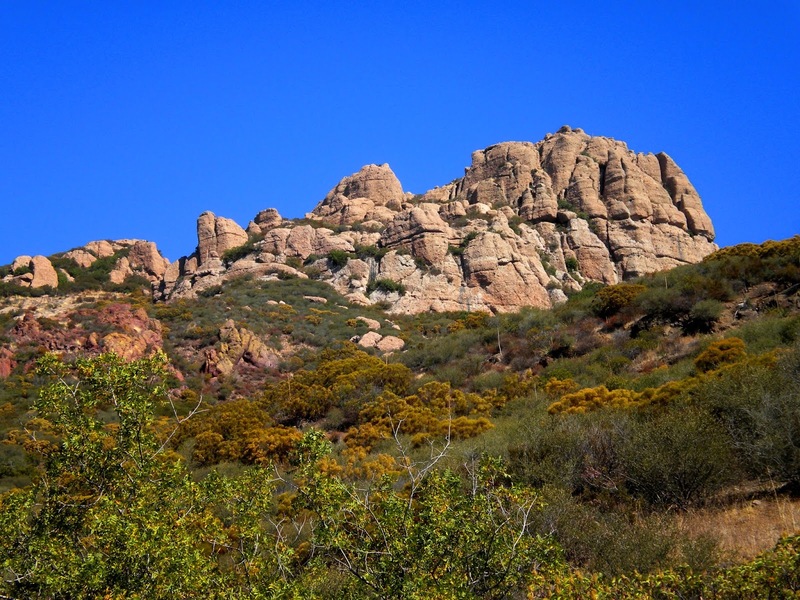 The mountains that inspired Ruthven’s poems are still right here in Malibu’s backyard, and continue to invite exploration and reflection.